କରାଯାଇଥିଲା । ଭାରତ ସରକାର ଏହାକୁ ଏକ ସରକାରୀ ନୀତି ଭାବେ ପ୍ରଚଳିତ କରାଇବାର ବହୁ ବର୍ଷ ପୂର୍ବରୁ ଜେ. ଆର୍. ↑ Shyam Swaraj: "Happy Birthday J.R.D Tata: The Father Of Indian Aviation", dazeinfo.com, July 29, 2015. Retrieved 18 July 2017. ↑ A report in Vohuman.org Amalsad, Meher Dadabhoy. "Vohuman". Retrieved 11 April 2007. ↑ "J.R.D. TATA". Tata Central Archives. Retrieved 2015-10-07. ↑ "29 NOVEMBER 1993..." unitedstatesofindia.com. Retrieved 10 April 2014. ↑ Shafali. 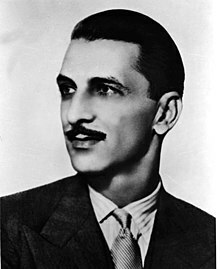 "Biography of jrd tata-Essay-Shafali". studymode.com. Retrieved 10 April 2014. ↑ "Bombay Flying Club First Annual Report". Flight Global. 1 August 1929. Retrieved 16 September 2011. ↑ Sachin in IAF blues (2010-06-23). "Blog: Honorary commissions in the IAF". StratPost. Retrieved 2015-10-07. ↑ "Industrialists:JRD Tata – Made Tatas the largest Business House in India of his times". Retrieved 10 April 2014.